Have you come down with a case of cabin fever recently? Cold, snowy weather through much of the country over the last two winters has kept many people indoors more than they would prefer. However, this condition isn't strictly seasonal. 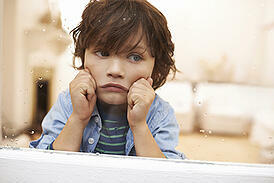 Rainy days or illness can create the same situation for you or your children. While you can always pass the time binge-watching House of Cards or staging a Final Fantasy competition, that can grow old. The next time you face an extended period indoors, keep your mind engaged with these activities. Word2word.com has links to free sites that teach languages from Arabic to Yiddish. There are also a number of CDs and online courses available if you want more in-depth lessons. Do you have a shoe box or online folder stuffed with pictures that you keep meaning to get to "someday"? Use hard-copy or digital albums to sort them chronologically or by theme. And don’t forget to upload your digital photos to a cloud service for secure storage that's easily accessible and sharable. Invest in a few cookbooks or put your tablet on a stand and pull up some step-by-step recipes. You can also expand your repertoire by learning a new style of cooking such as vegetarian or ethnic. Recognizing that your circumstances are temporary can do wonders for your frame of mind. Pick a couple of places you want to visit and research hotels, campgrounds, popular attractions and other details for comparison. Bring the outdoors inside. Plants are attractive additions to your decor that improve your mood and keep the air clean. Let your kids learn the joys of low-tech entertainment. Stock up on games like Monopoly, Scrabble and Pictionary that sharpen their minds while they're having fun. Ignore the gloomy weather and stage a beach party. Have the kids put on bathing suits or shorts and sunglasses. Play volleyball with a beach ball or balloons and serve a picnic lunch on beach towels. Kids love building forts. Let them get as creative as possible using blankets, boxes and any other materials they can find. Serve snacks like popcorn and s'mores. Banish the blues by spending time socializing with your neighbors. Free-Range Kids.com tells how one family actually threw a party outdoors, but you don't have to be that ambitious. Put on a pot of chili, bake some chocolate chip cookies and invite kids and their parents to stop by. With just a bit of imagination, you can beat cabin fever regardless of the cause. What indoor activities do you enjoy in your Springs Apartments home? Share them with us in the comments!